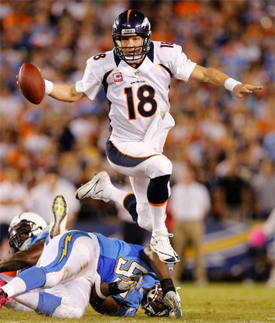 The first game of the Broncos 2011 season is not to far off. The first game the Broncos will be taking on our hated enemy. The one team we hate more than in-laws. 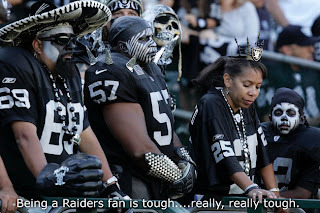 The Jokeland Faiders, Gayiders, Traiders, yes that hated Raiders (FTR) squad put together by the Crypt keeper Al Davis. Words can't express how much I dislike this team. The problem is that in recent times the Faiders have had it one up on our Broncos. Last year the Faiders went undefeated in the division and beat the Broncos twice. 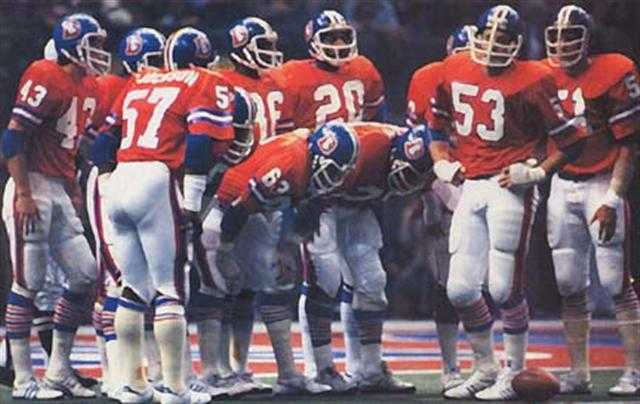 Plus there was Black Sunday, the worst day in Broncos history. The humiliating defeat still haunts the Broncos. "It was just terrible," Denver middle linebacker Joe Mays recalled. "It's one of those things where you want to forget it, but it's still in the back of your head." Oakland's Darren McFadden, who rushed for a career-best 1,157 yards last year, ran for 165 yards and scored four touchdowns in Denver, while the offense racked up 508 yards. 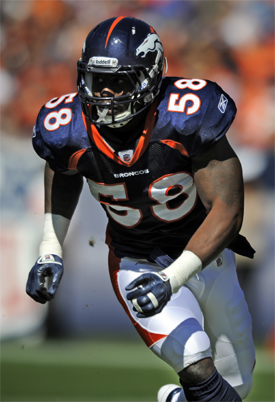 "The veterans on the team talk about how they killed us last year," Denver rookie pass-rusher Von Miller said. "But this is a new year, we've got a new coach, new players and hopefully it'll be different this year." Most of Denver's problems stemmed from a defense that was last in the league in total yards (400.6 per game) and scoring (29.4). It also had an NFL-low 23 sacks and finished with the second-fewest interceptions at 10. Under Fox and new coordinator Dennis Allen, who is ditching former coach Josh McDaniels' 3-4 scheme for the traditional 4-3, the Broncos are feeling optimistic defensively because of the health of Elvis Dumervil and the arrival of Miller. 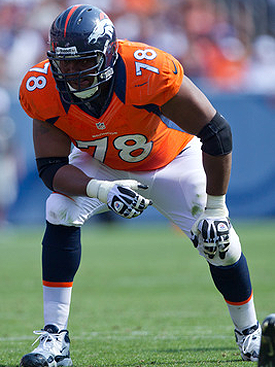 Dumervil led the league with 17 sacks in 2009, but missed all of last season with a torn chest muscle. He should benefit from lining up opposite Miller, who was the second overall selection in the draft after collecting 27 1/2 sacks in his last two seasons at Texas A&M. "Obviously we thought a lot of Von Miller to draft him in that spot and getting Elvis back is huge, both in the locker room as well as on the field," Fox said. "So, they're a pretty good little tandem." But a lot has changed since last year. Hue Jackson was named coach of the Oakland Raiders in the offseason after spending his first year with the team in 2010 directing a surprising offense. 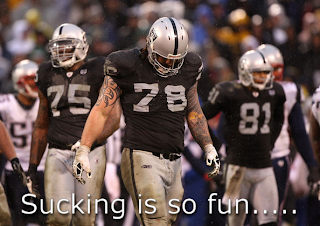 Oakland is coming off an 8-8 finish in 2010, ending seven straight years of at least 11 losses. The Raiders were the lone NFL team to finish 6-0 within their division, but it wasn't enough to save Tom Cable's job, and Jackson was named coach in January. "I expect to win here," Jackson said. "And 8-8 doesn't cut it for me. I'm not interested in being 8-8. I'm interested in being great." It will be hard for Jackson to make this team great with the number of top talented players that have left through free agency. Zach Miller, Nnamdi Asomugha, Robert "Dirty Chop Block" Gallery to name a few. They have solid running back core and defensive line. But they have a week OL, suspect player at QB and in the secondary so it could be a long year for the Traiders. The Broncos on the other hand are improving though. A solid draft (Miller, Moore, Franklin) and the return of players from injury (Doom!) has set the Broncos up nicely. Depth is still an issue as is the DT problem and stopping the run. But hopefully the Broncos can overcome this problem. Also Bunk returned to training from his injured knee so he may be able to go against the Faiders. The Raiders have lost 11 straight prime-time games since Nov. 28, 2004, when they defeated the Broncos 25-54 on a Sunday night in Denver. This will be a tough and close game, they usually are against the Faiders. 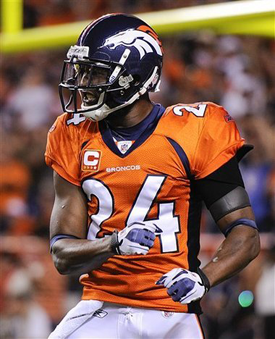 I am going to pick a close game, say 24-14, Broncos for the win of course. Defensive end Jason Hunter wanted a number that made him look like a defensive end. Linebacker Wesley Woodyard wanted Ray Lewis’ No. 52. So the players swapped jersey numbers, official as of Friday. Hunter will now wear No. 90, while Woodyard has ditched the No. 59 he has worn here since he arrived in 2008. Woodyard was particularly excited Friday afternoon when he learned the change was official. Denver second-year receiver Demaryius Thomas didn’t practice Friday. He came back this week after rupturing his Achilles in February. He is on the right track, but there is no timetable for his return. Brodrick Bunkley (knee) right guard Chris Kuper (toe), wide receiver Matthew Willis (toe), safety Quinton Carter (hamstring) and safety David Bruton (shoulder), and all were listed as full participants in Friday’s practice. Among those expected to be ruled out are defensive tackles Marcus Thomas and Ty Warren and linebacker D.J. Williams, each of whom has not practiced this week. With Kevin Boss still not practicing, it is looking more and more like Brandon Myers is primed to be Oakland’s starting tight end at Denver on Monday night. Q: If you were stuck in a cage with a lion,jaguar and a raider fan and you had a gun with two bullets what should you do? A: Shoot the Faider fan twice. Q: What do you call a Raiders fan with half a brain? Enjoy the game, Go Broncos! ~ Aussie. lol @ the jokes. Funny stuff. I cannot wait to see Doom & Von out there causing mayhem all game long, been dying to see Doom back on the field for too long. Time for him to beat his own sack record. If there was ever a beast..... its him. And at this point, I don't care who's behind center, just WIN!! Go get 'em boys!! Love ya forever! Its a very nice ring, been wanting to get it for a long time.. totally worth the $100. I did look at your new rings. Nice. Careful of those horny old guys, we're easily led on. Free Red Zone today from NFL Network if you can get it. Thanks Digger. Believe me there's no way I'm leading him on. We know where we stand. Not really a "happy' 9/11 but of course, I'll never forget. Was a freshman in high school. Whole day is a blur, no one could pay attention in class, everyone wanted to know what was happening, even the teachers. Everyone was so distracted. Horrific day and my prayers go out to every victim & their families. GOD BLESS AMERICA!!!!!! oh and Aussie... I'm gonna do my best to do a Post-game review for tomorrow night. Want to help you out the best I can, so you're not putting up all the posts. It may work out best that you do Pre-game posts & I'll do the ones after. Yeah true BP, not "happy" 9/11. Freshman in HS shows how young you are. Maybe 24 now though. I think I knew that. Same age as my daughter. She's not a Bronco fan though so she's not as cool as you. I don't know about this Red Zone. So much switching games it gets you a little confused. Yep, I'm only 24. Lol, pretty sad when you call a complete stranger cooler than your daughter just cuz I'm a Bronco fan. Funny though. Does she even like football? Just curious. I just turned to the Pitt-Balt game and stayed there. Pittsburgh got stomped on, clobbered and destroyed. Never seen them play so bad. Its cool to see 8 games at the same time but it is very confusing. Too much going on at one time. I like to watch one game & stick with it. Time to watch the Vikings hand it to the Chargers at home. This one will really make my day. KC lost big time, 41-7 LOL Would love to see SD lose and then we could control our division or at least start off right when we beat Oakland. Haha.I am sad. No, she doesn't really like football and my son is a Patriots fan. My wife likes to say she's a Broncos fan and wears the attire, but doesn't know much about them. That's OK though at least she supports the team I love. Better than my traitor kids. We would always have something to talk about if they cheered for the same team as me, but choose not to. My wifes eyes just kind of glaze over when I talk about the Broncos. Haha princess, is good you set him straight. That sounds good if I do pre-games and you do post. It is harder for me to see the games than you, so good idea. Haha yeah KC got smashed! by the bills haha. Chargers won a close one. Digger your wife sounds like a keeper, supporting your team with you. For me it is always hard to find Broncos fans. Most of my friends are just football fans so we talk about all teams rather than just about the Broncos. But we love some Gridiron! haha. That's cool Aussie. At least you can find some people to talk real football with. Newton sure showed his #1 status off today. I sure hope Miller shows off why we took him #2 tomorrow. Sounds good Aussie, didn't even think about how I would have easier access to see the games than you so guess that worked out well. ha! Really anxious to see how Miller does tomorrow too. Can't wait to see Von-Doom explode onto the scene. Gonna be a looooooooong day leading up to the game. Got my Orange throwback Elway jersey all ready to go for tomorrow night. :D Let's do this thing boys, get that W!! I agree with both of you, time for Miller to step up and announce himself. Well princess I figured since you lived in the US it would be easier for you to see games then myself on the other side of the globe. True, I just didn't think about it when I first brought it up. Works for me. So ready for Orange Monday! lol Bring it!